If you just arrived on our fair planet today, you might not know we're celebrating the 40th anniversary this year for Star Wars, the greatest cinematic space fantasy ever conceived. We'll excuse your ignorance and tell you to direct your eyes to this wild trailer for a new kitchen-sink documentary titled Star Wars Nothing But Star Wars: Star Wars Mixtape. It's a 77-minute (get it?) free-for-all pieced together with four decades of the kookiest Star Wars-centric moments in TV specials, commercials, fan fairs, comic cons, celebrity signings and cosplay insanity. Cinefamily in LA will host this monumental mashup movie on May 25, the pivotal date the original Star Wars was launched back in 1977. With the 40th anniversary coming up, we wanted to give Star Wars the loving Cinefamily treatment and had a feeling it would be a great show. When you see such wild and esoteric footage that’s based around such familiar, common imagery it’s extra surreal and strange. What is more universal and global than the imagery of Star Wars? More people probably recognize Darth Vader than Jesus Christ. And there’s something about Chewbacca speaking English and drunk Ewoks that really makes us laugh. 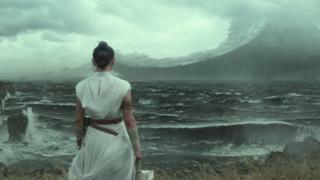 Leap into the Star Wars moshpit with the rowdy trailer below, and tell us how you'll celebrate next week when the big day arrives.